It looks like Microsoft accidentally revealed pricing for its new Xbox Music streaming service today, weeks before full details are expected to be announced. The leaked information came from an Xbox Live dashboard update that allows a handful of people to test a brand new Windows 8-style user interface, reports The Verge. 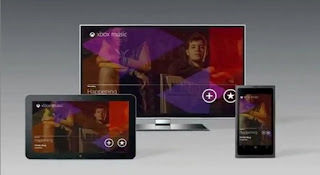 The dashboard indicates that Xbox Music will offer customers an unlimited buffet of streaming music for a monthly subscription — mirroring the company’s current Zune Music Pass service. Screenshots of the dashboard show U.K. pricing of £8.99 per month or £89.99 annually, but it’s likely that U.S. prices will be identical to the Zune Pass ($9.99 monthly, or $100 annually). The service requires you to have an Xbox Gold membership as well, which of course gives you access to tons of third-party video and music apps like Netflix, Hulu Plus, and HBO Go. The Zune Music service was initially created as a digital media store for Microsoft’s Zune player device and as a direct competitor to Apple’s iTunes store for the iPod. The company has since scrapped those plans in favor of a new digital media business strategy under the well-known Xbox brand. And as we’ve speculated before, most of the console handling of Zune Music will probably just get a simple rebranding to Xbox without any major changes happening. In addition to the new Xbox Music “Pass” subscription service, leaked screenshots from the Xbox dashboard update hint at a free, ad-supported version of the streaming music service, which would also require an Xbox Gold membership. There’s also some indication that the service would let you build playlists from songs on your Xbox and have them sync up automatically across other Windows 8 devices (Windows 8 PCs, Windows Phone 8, Microsoft Surface tablet). If true, the new Xbox Music offering would become a direct competitor with streaming music service Spotify, which has a very similar business model. The dashboard interface didn’t mention an official launch date for Xbox Music, but it’s a good possibility that Microsoft will roll it out along with its other big product launches in late October.